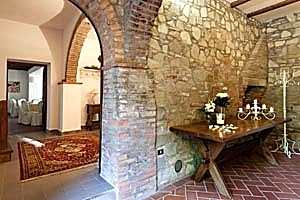 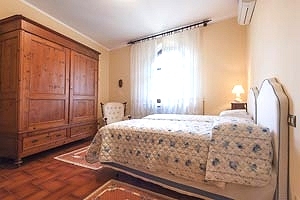 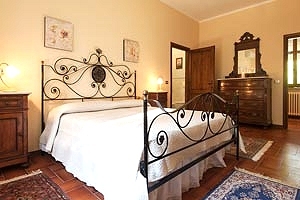 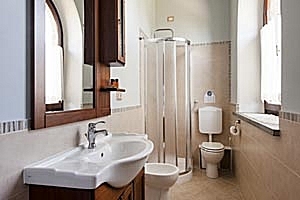 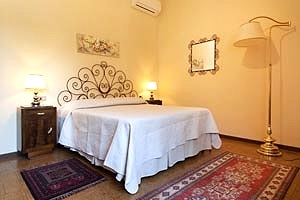 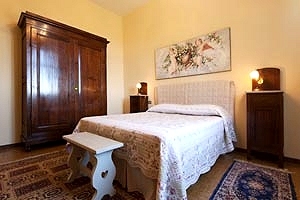 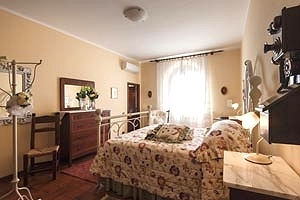 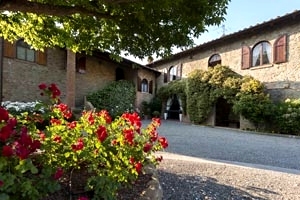 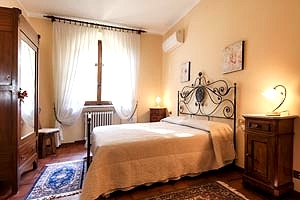 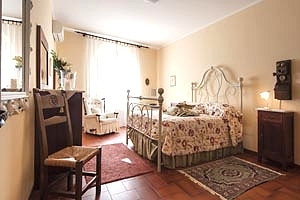 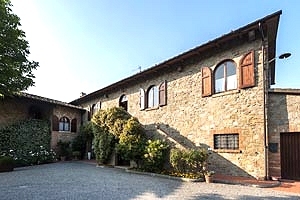 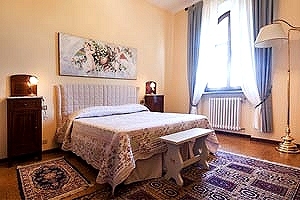 The vacation villa is located in Montaione, a village in the province of Florence situated in Empoli countryside. 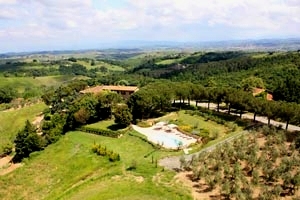 A wide woodeed park exclusively reserved to guests surrounds the villa, which stands in an 84-hectare estate made of pinewoods, woods, cultivated fields, olive groves and vineyards. 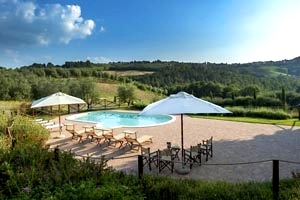 In the park lies the private swimming pool (5.30x12.70 m; depth: 1.20 m) provided with a large solarium area; in the park there are also a table with chairs and the barbecue equipment. 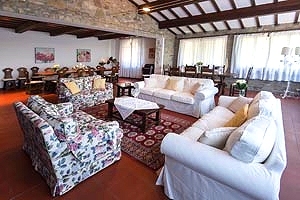 The villa is an excellent solution for several kind of tourists: those who love nature can relax with long walks and horseback or bike rides in the Tuscan countryside; sporty guests can visit the golf club, the riding stable and the tennis club in proximity to the villa; those who love art and culture can have interesting one-day trips to the nearby towns of Certaldo, Empoli, Vinci, Pisa and Florence. 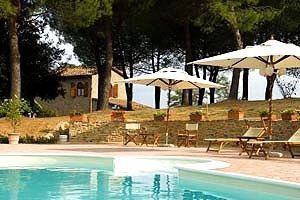 Gambassi Terme and its thermal baths are within a few kilometres from the villa. 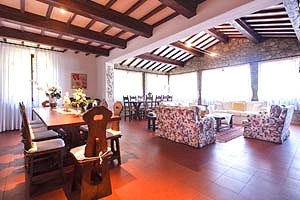 The villa sleeps 12 people in 1 twin bedroom, 5 double bedrooms, and has 5 bathrooms. 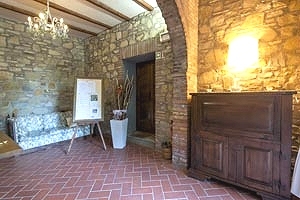 All the rooms are on the first floor. 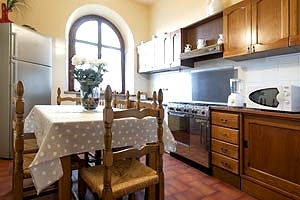 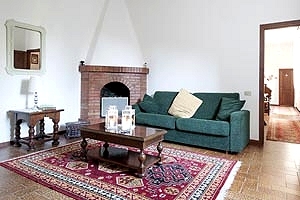 It composes of two dining/living rooms; kitchen equipped with electric oven, microwave oven, gas cooker and fridge with freezer; one room with two single beds that can be united to form a double bed and an einsuite bathroom; five double bedrooms (three with ensuite bathroom); a fourth bathroom with bathtub. 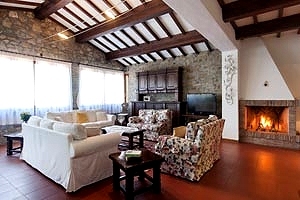 The villa is equipped with swimming pool, barbecue, air conditioning, satellite TV, Internet connection, working fireplace, dishwasher, microwave oven, electric oven, washing machine and private car parking place. 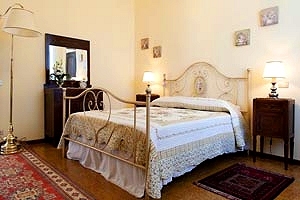 Two cot beds are supplied upon request. 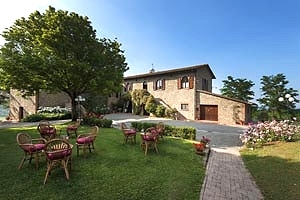 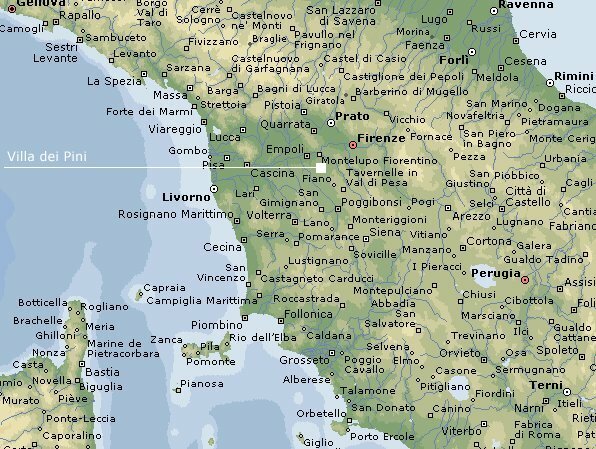 Grocers, restaurants, shop and services of any kind are in Montaione (1 km). 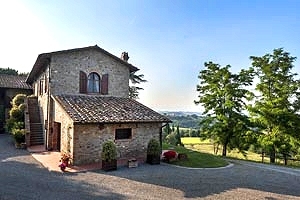 The nearest railway station is in Castelfiorentino (8 km). 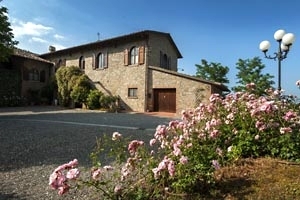 A riding stable and a tennis club are 1 kilometre from the villa. 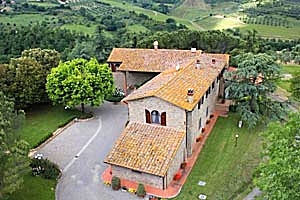 Gambassi Terme and its thermal baths are 5 kilometres away. 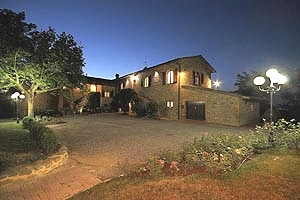 A golf club is within 10 kilometres from the estate.